By Joulia Strauss in Documentation on November 24, 2017 . 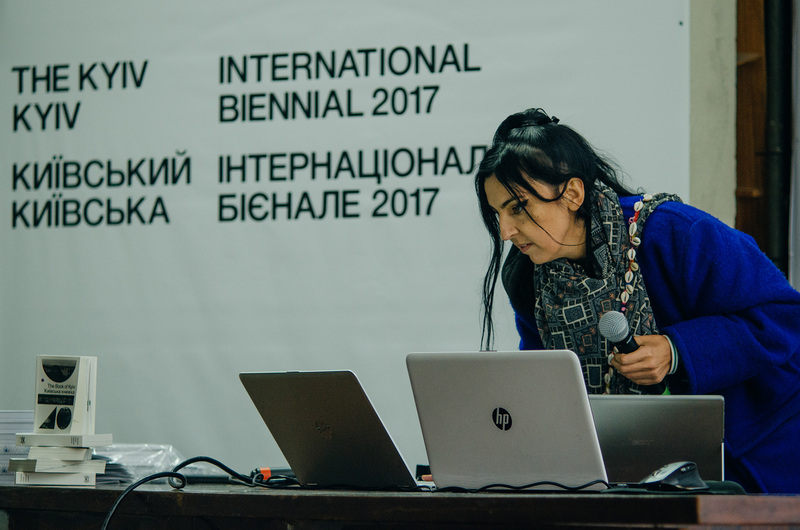 In occasion of the 100th anniversary of the October Revolution, Avtonomi Akadimia payed an extensive visit to The Kyiv International – Kyiv Biennial 2017. The Winter Semester was interentangled with the public program and has enfolded at the main venue, the Institute of Scientific, Technical and Economic Information, also known as the “UFO”. 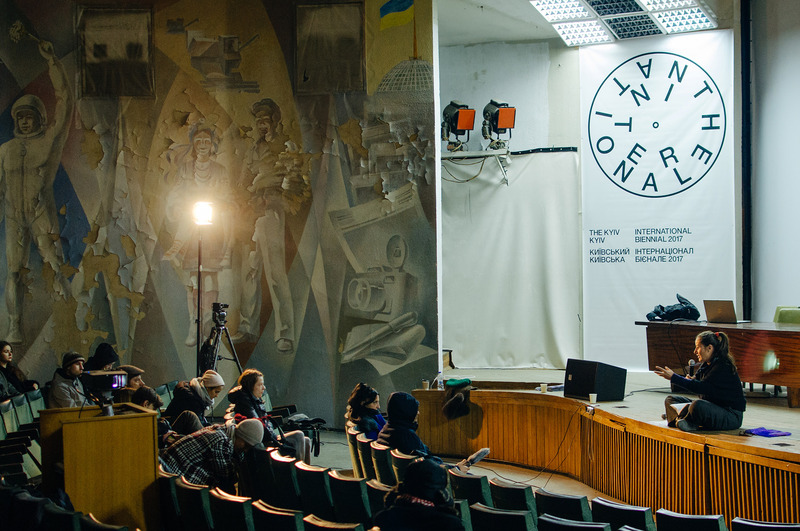 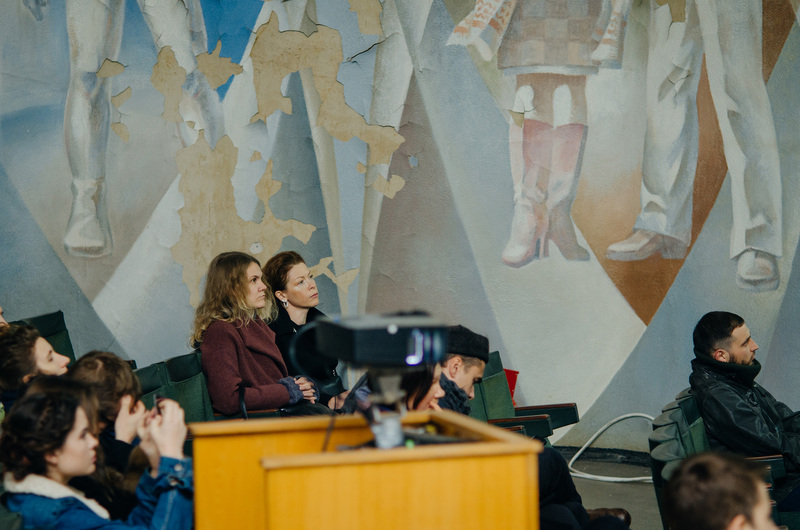 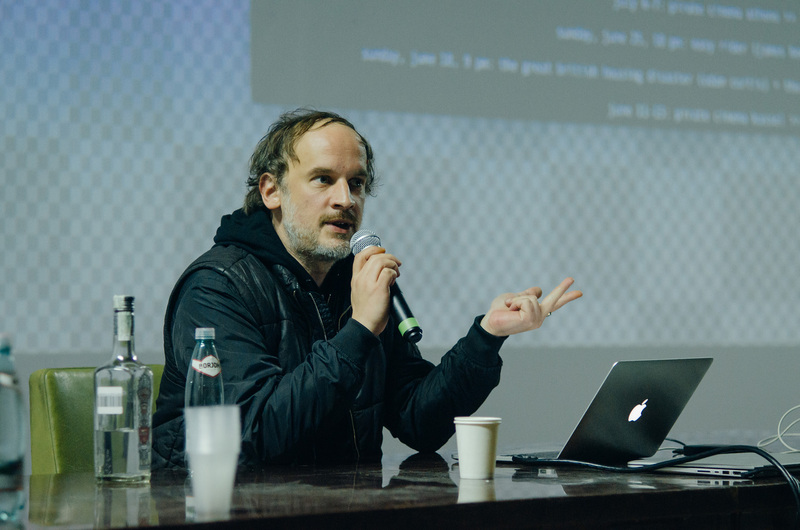 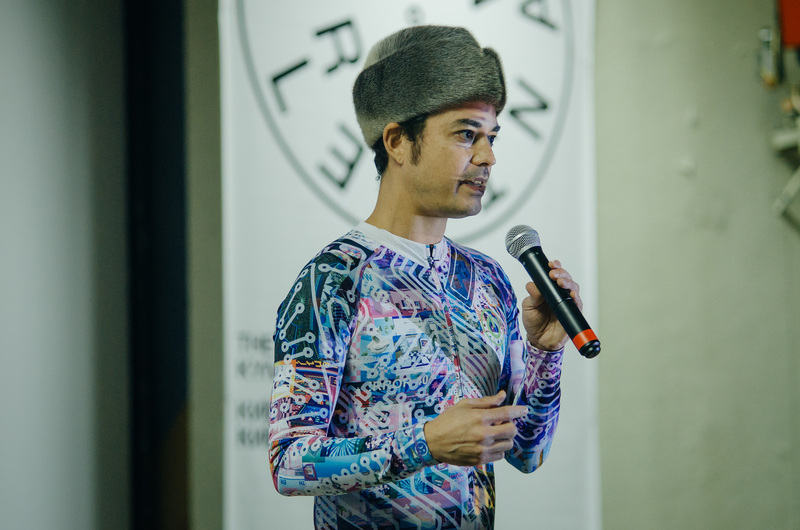 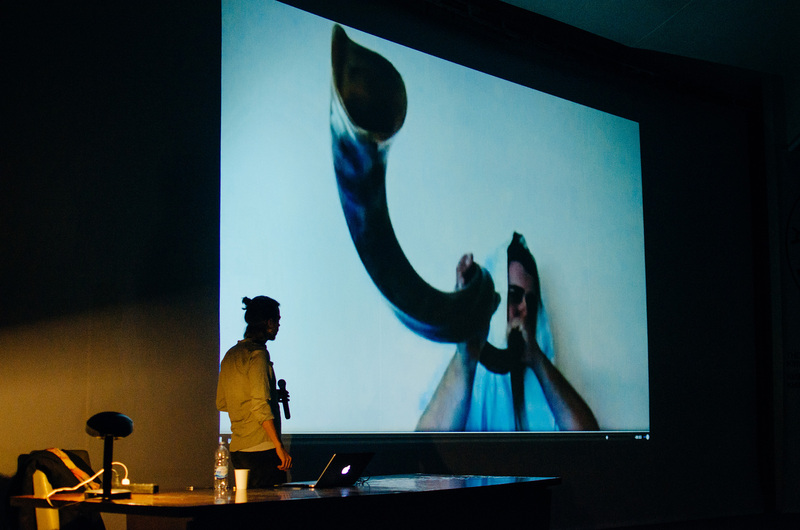 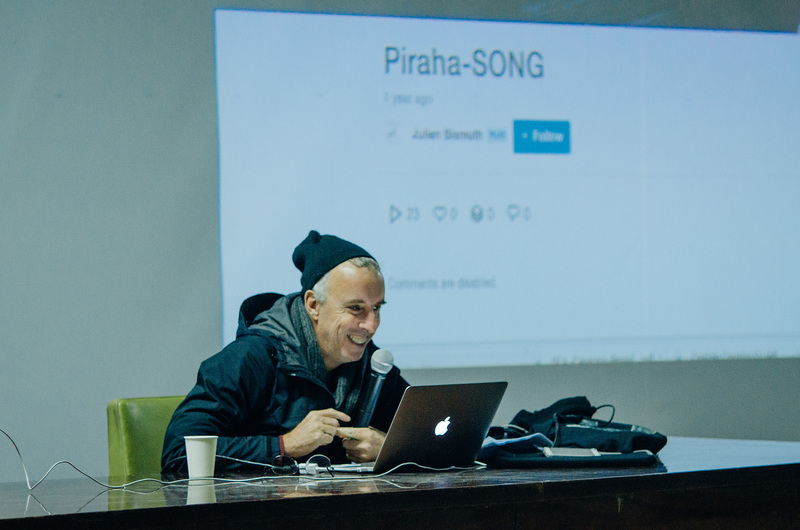 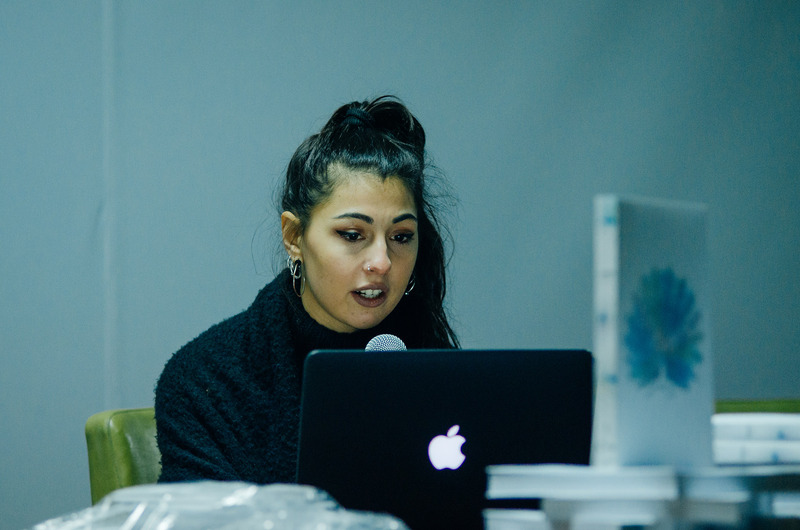 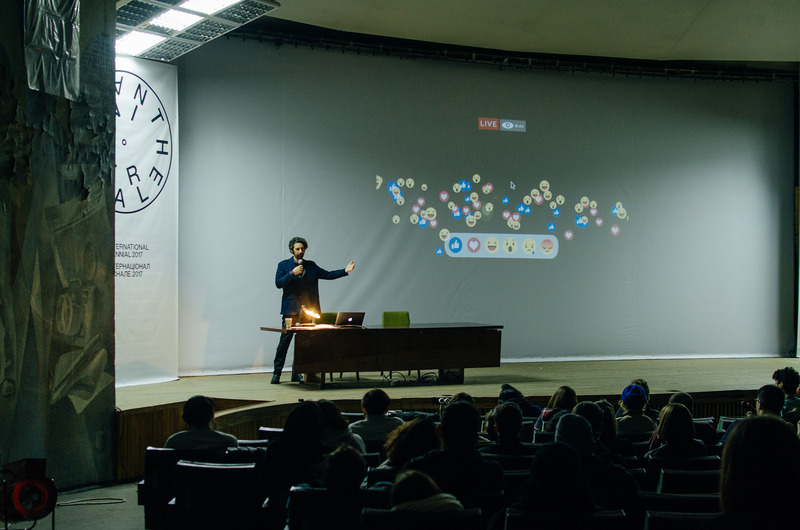 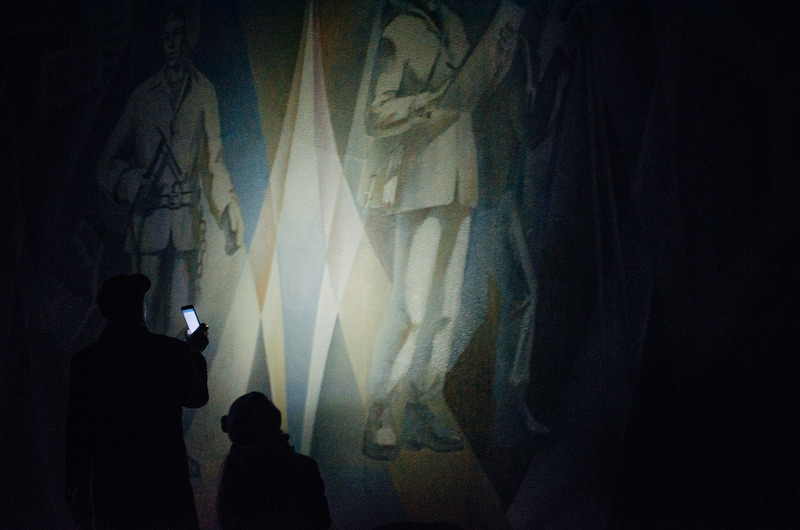 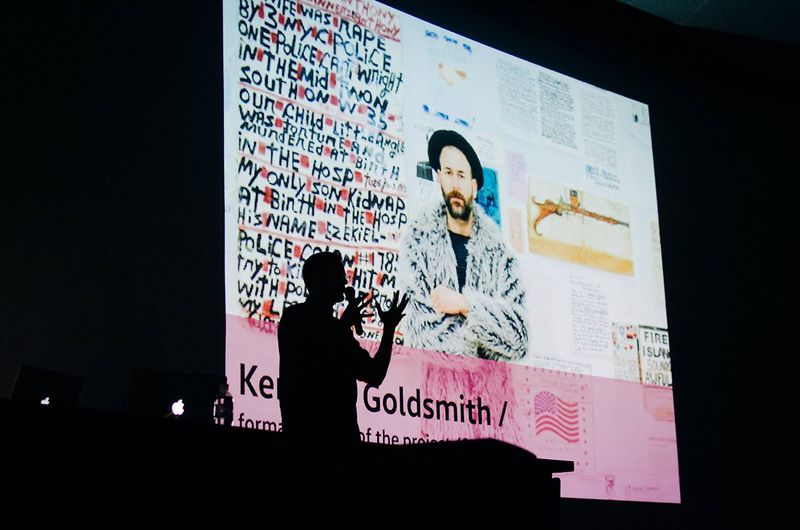 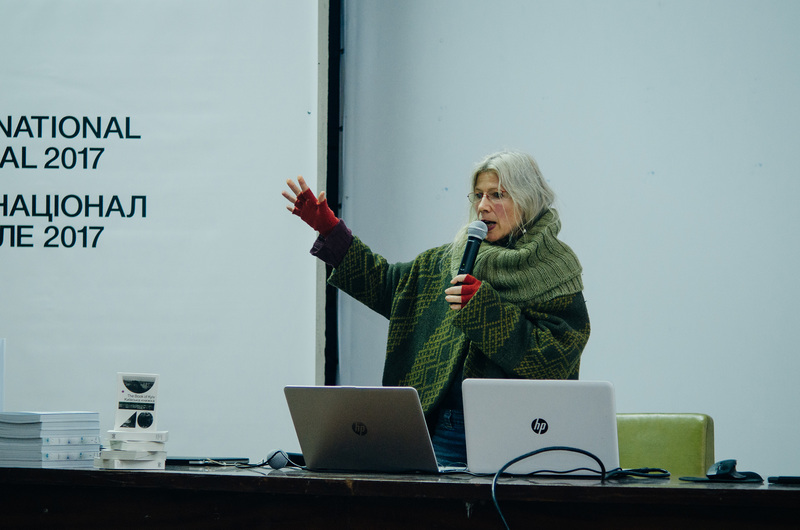 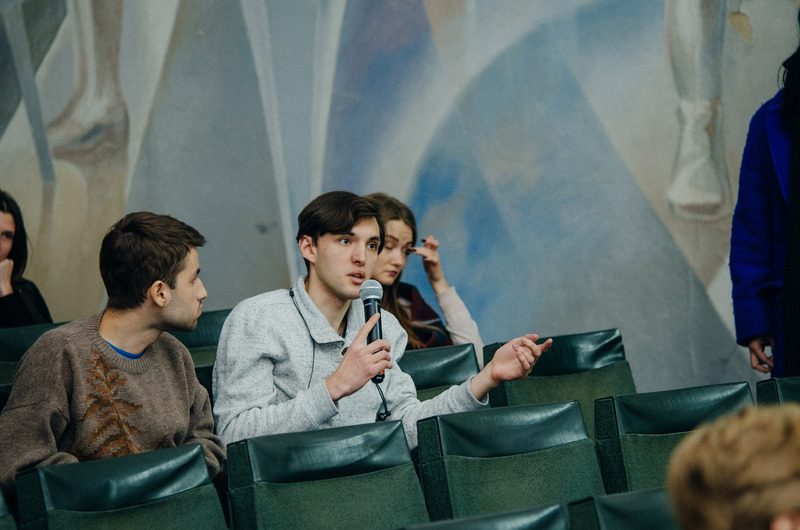 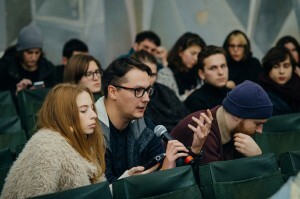 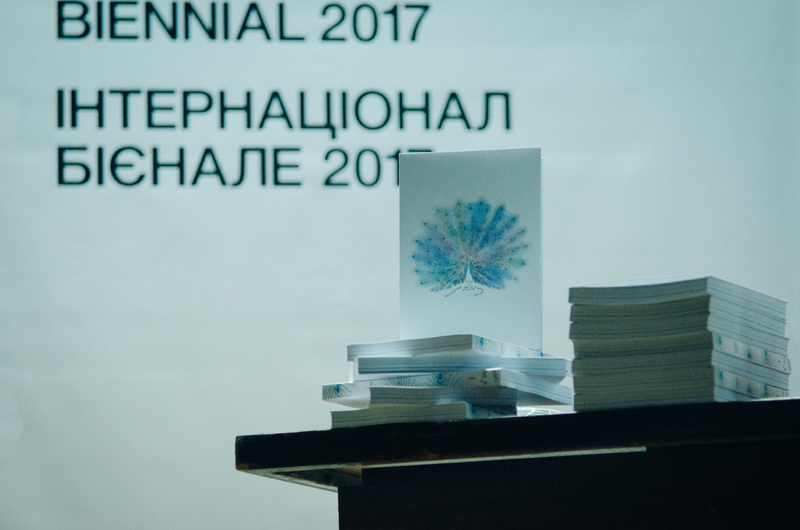 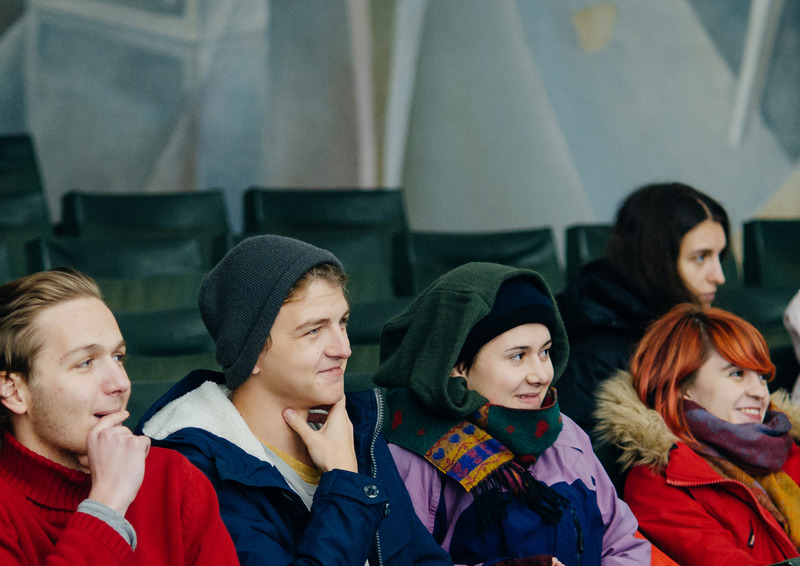 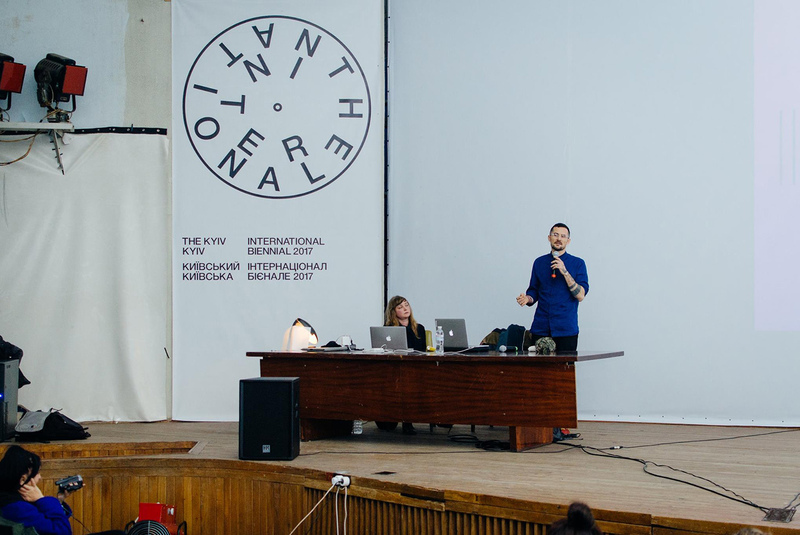 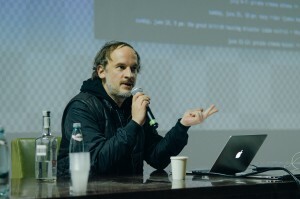 After the documenta 14’s Parliament of Bodies that has moved learning into the center of the art discourse, UFO of the Kyiv International had offered us the next ideal environment to continue the experiment of education as a socio-cybernetic art work. 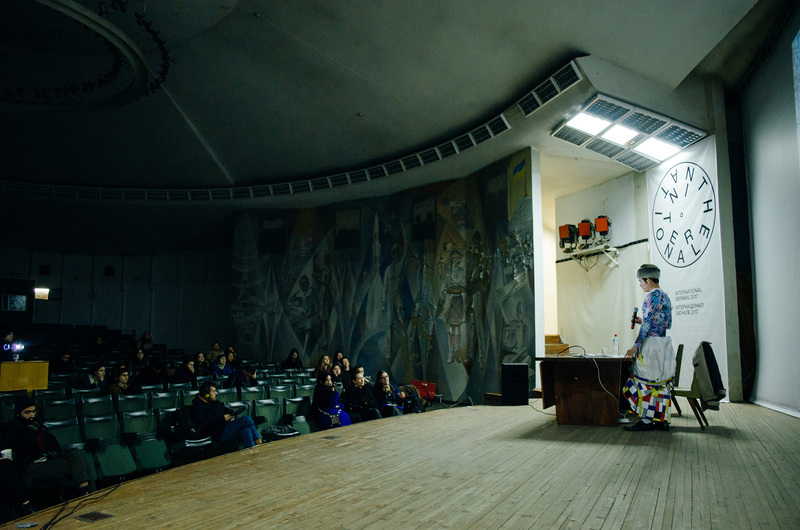 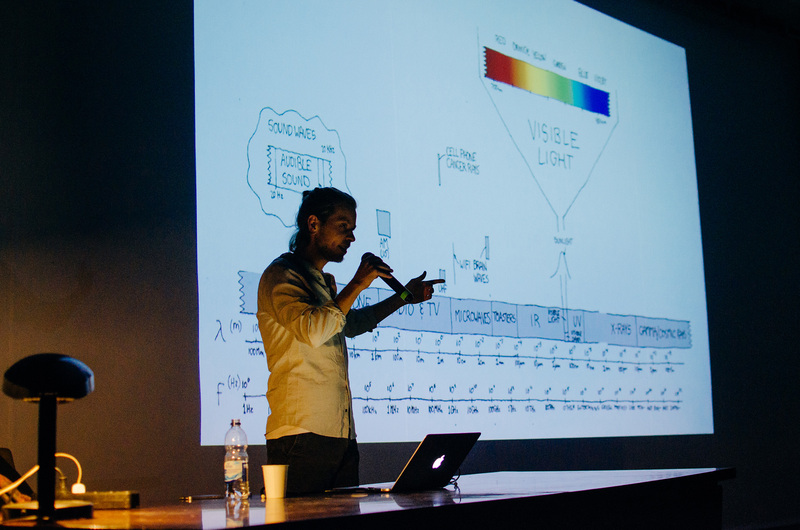 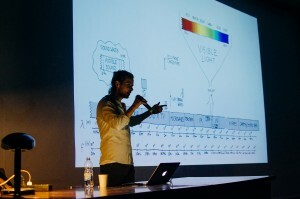 UFO’s conference hall, originally planned as an experience of oneness of sound and image, syneisthesis, (σύν syn, “together”, and αἴσθησις aisthēsis, “sensation”) has not been accomplished during the Soviet times. 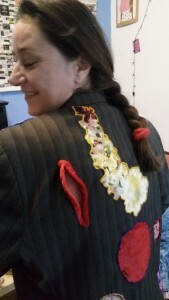 As a force that creates chronotopologies of oneness of art, philosophy, technology and politics, Avtonomi Akadimia furtherdeveloped the uncompleted construction by modulating the aspired experience from synaisthēsis to what can be called synethosis, the unity of the movements of our First Global Revolution. 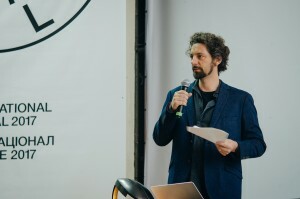 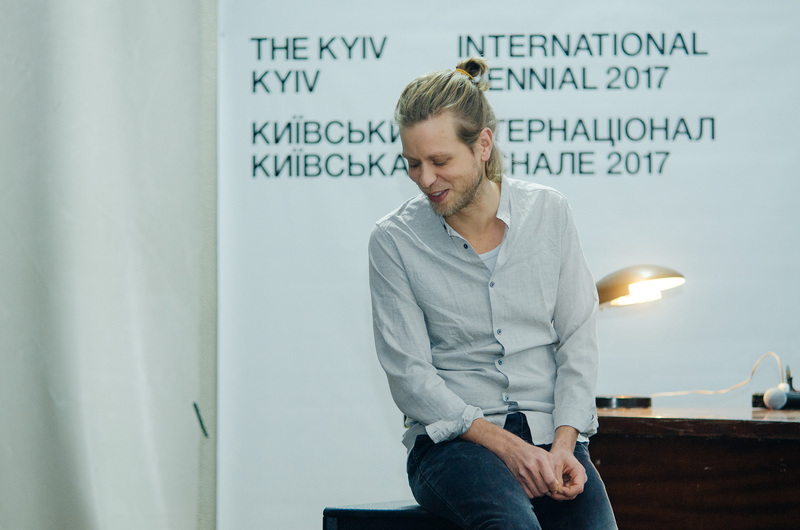 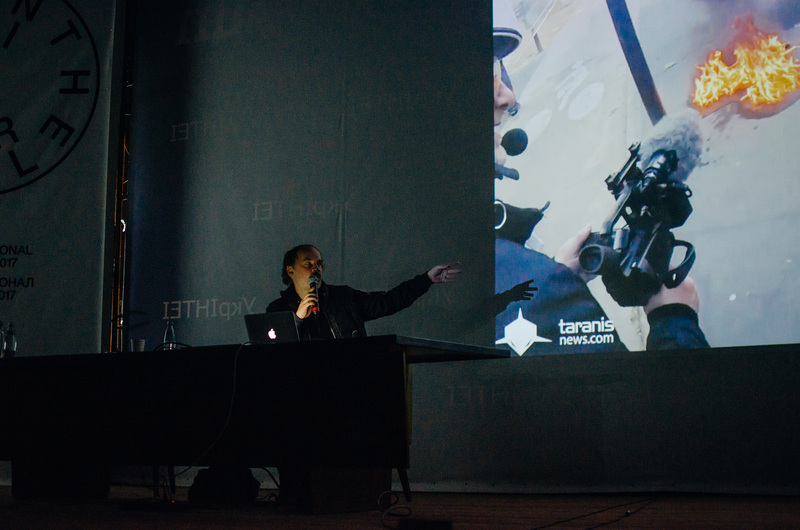 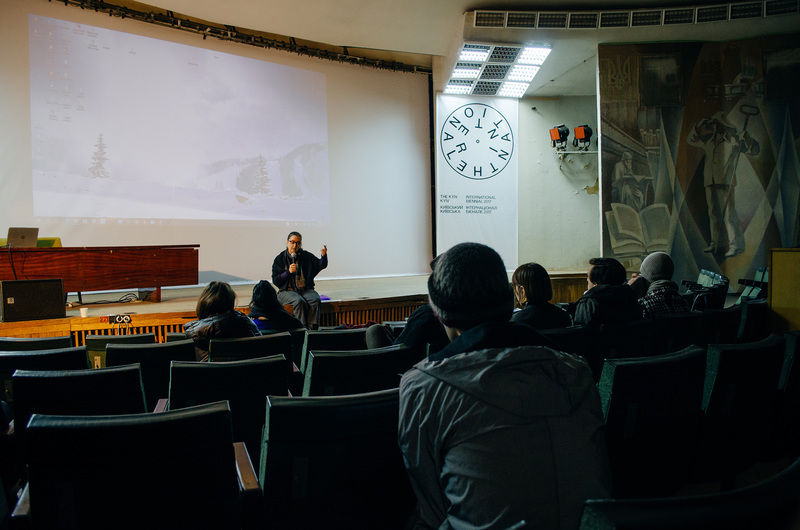 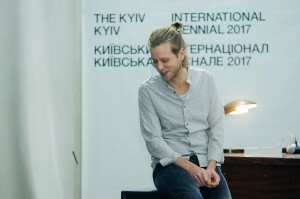 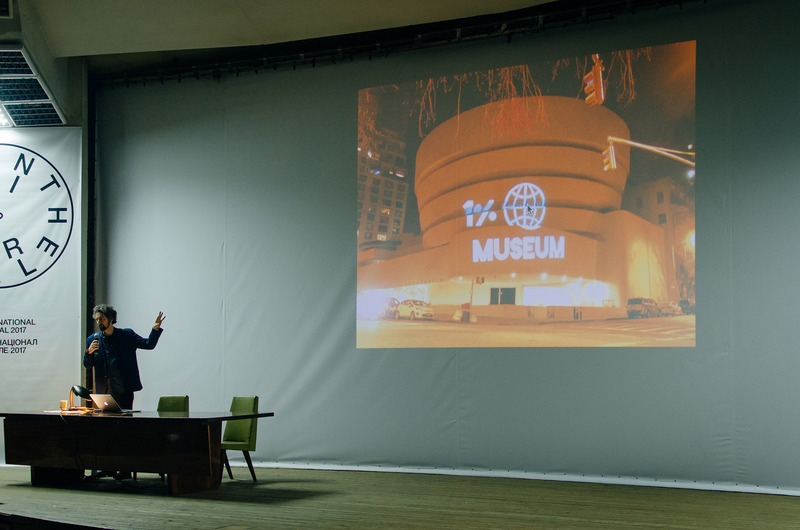 Kyiv International – Kyiv Biennial 2017 has organized a meeting with the architect of the UFO, Florian Yuriev, to discuss the renovation project which may turn the unique monument of modernist architecture into the part of the shopping and entertainment center “Ocean Mall”. 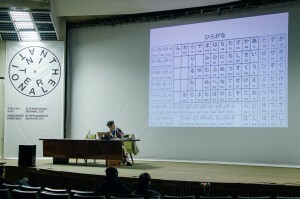 UFO, according to law, can be only used for the educational purposes. Avtonomi Akadimia contributed to the discussion with the solidarity action of exemplifying its fulfillment. 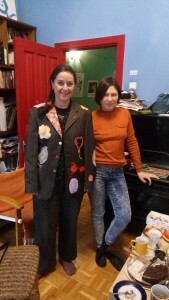 Presentation of “Krytyka Polityczna Athens”: Universitas by Katja Ehrhardt (AthenSYN) and The School of Everything by Joulia Strauss (Avtonomi Akadimia) (Greece/Germany). 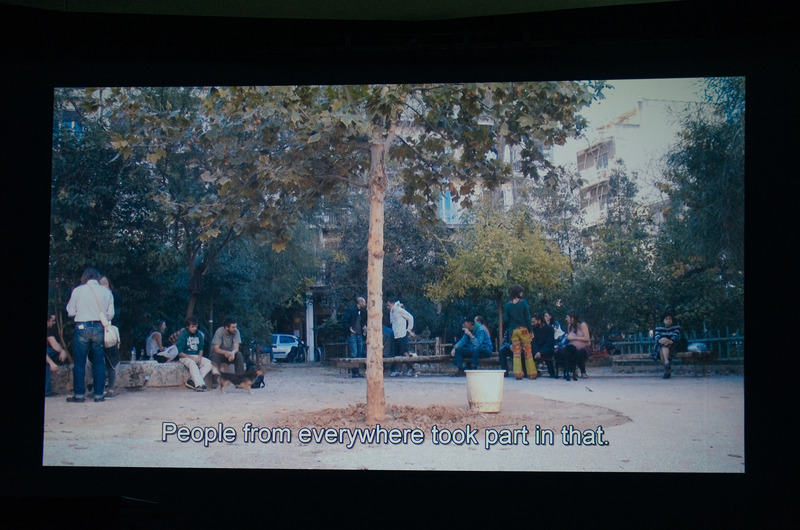 14:00 Revolution 1 (French): Chris Marker, Gaspard Glanz, Ute Holl, Peter Ott, et al. 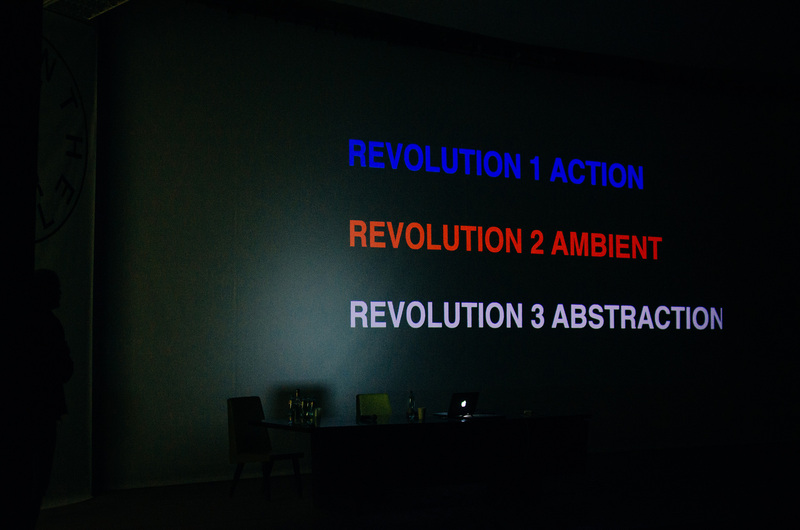 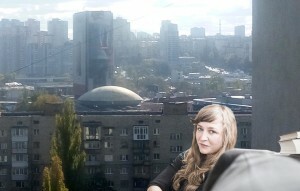 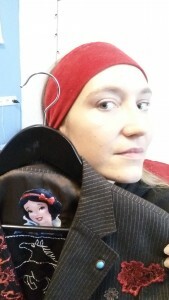 17:00 Revolution 2 (October): Kira Muratova, Peter Cherkasky, Artavazd Peleshian, Ken Jacobs, et al. 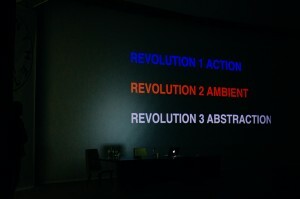 20:00 Revolution 3 (Digital): Dzyga Vertov, Alfred Hitchcock, Jean-Luc Godard, Philippe Grandrieux, et al. “Final Fantasy II – 21 Translations of Purpose in Japanese – 喜怒哀楽 Kidoairaku (Joy-Furious-Sadness-Pleasure)” presentation by Hiroshi McDonald Mori (Japan). Hiroshi McDonald Mori’s talk took place on the day after the opening of a giant blockbuster show on Japanese culture in the Mystetski Arsenal exhibition hall. 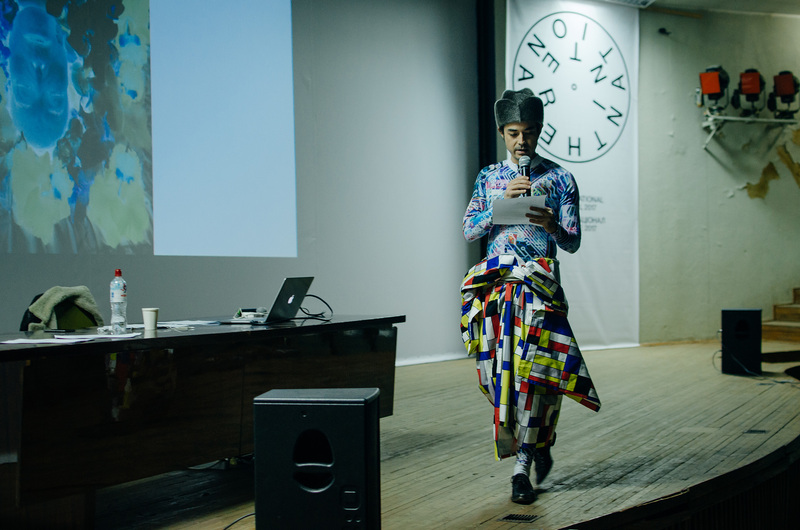 But what matters about Japan are the subversive strategies of its queer community shared by Hiroshi McDonald Mori. 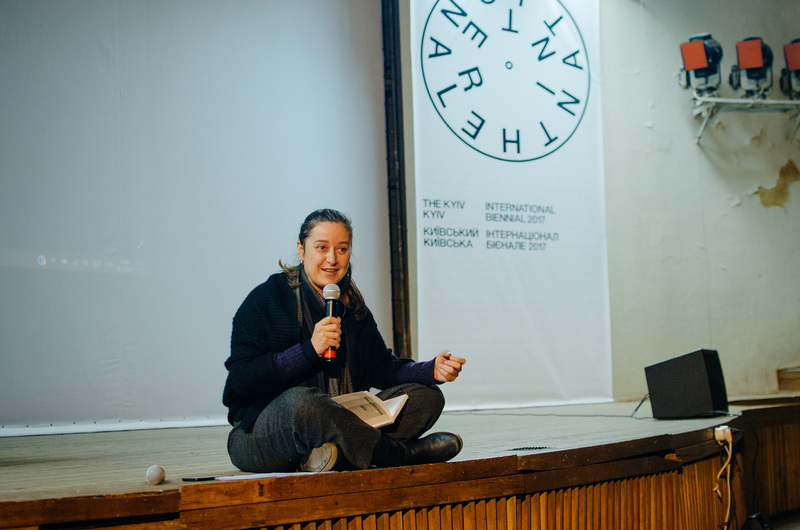 “From Parking Space to Park” film screening and discussion by Clara Hüneke (Germany). 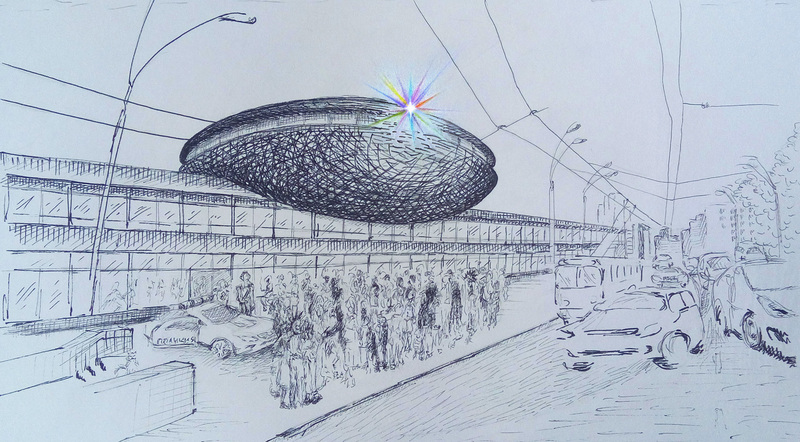 Does the future of the UFO and other struggles for public space depend on our ability to form a responce from the side of the community, as in the case told by Clara Stella Hüneke’s film? 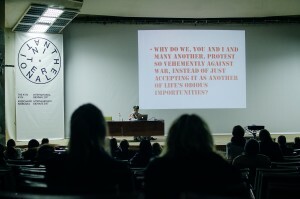 “Ethico-aesthetic paradigm against the Fascistization of Society. The Greek Case and the Murder of Pavlos Fyssas” talk by Ioulia Mermigka (Greece). 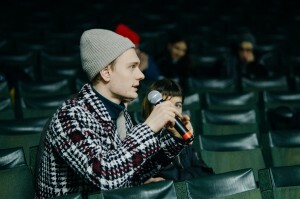 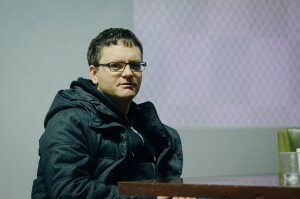 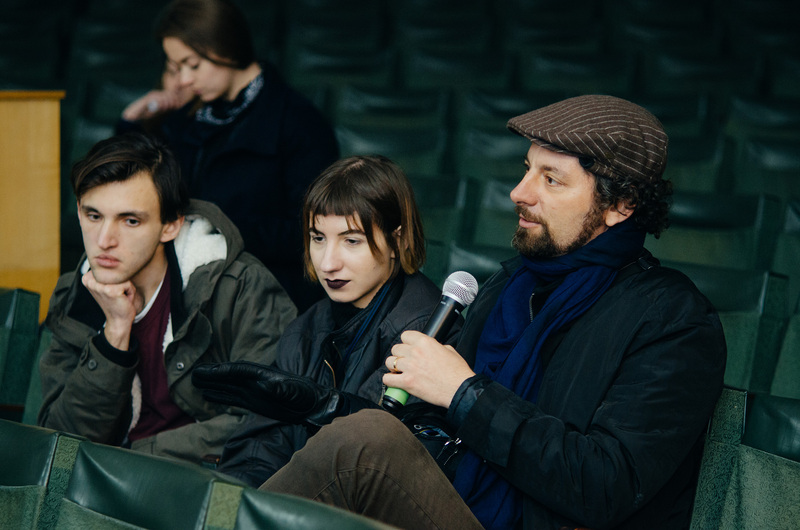 Vlad Holovko, artist, initiator and organizer of Plivka Art Center, Nastya Teor, who took control of our stay in Kyiv, and founding member of Occupy Museums, Noah Fischer. 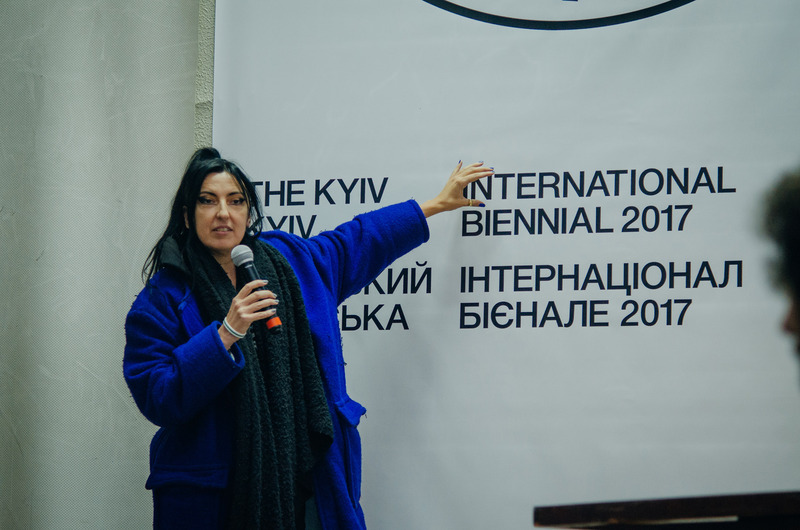 Joulia Strauss emphasizes the political difference of The Kyiv International from the usual Biennials as a remark closing the program. 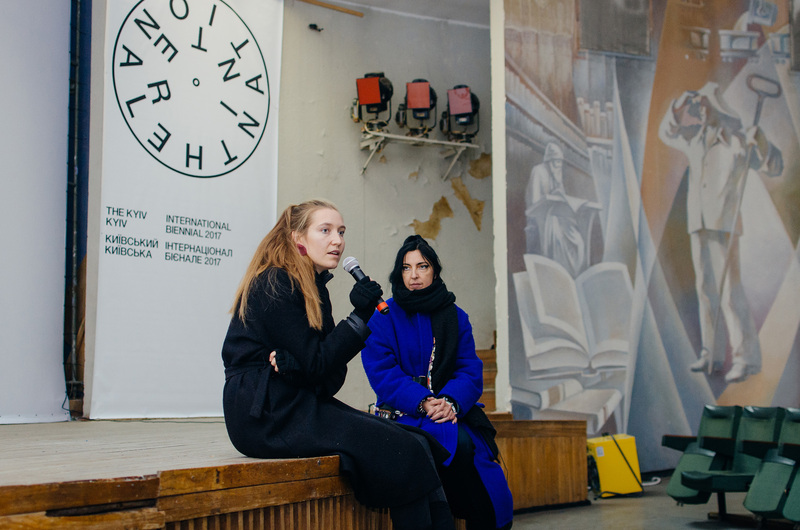 Beyond the official program, informal exchange between the participants and the community in Kyiv took place. 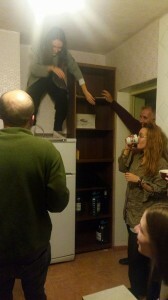 Nowadays, again, politics is made in the kitchen! 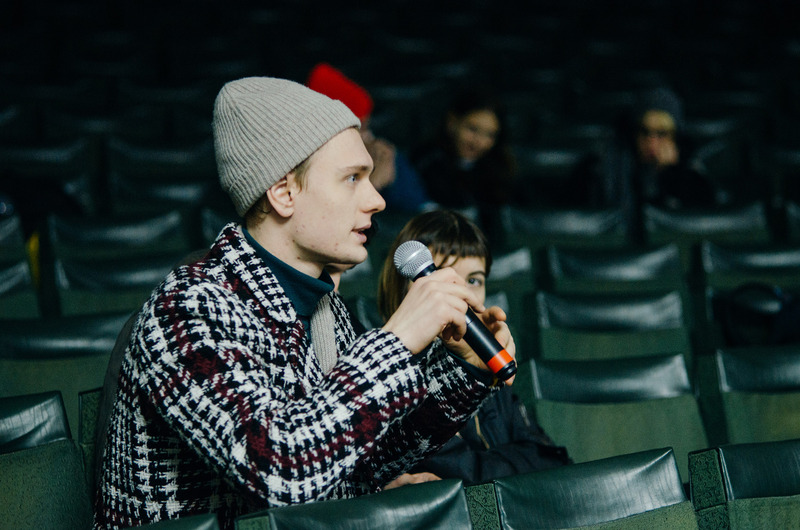 We are very grateful for the warm reception to Oksana Briukhovetska, Nataliia Neshevets, Yustyna Kravchuk, Ruslana Koziienko, Anna Kravets, Anna Tsyba, Vlad Holovko, Olexiy Buistov, Nikita Kadan, Valeriia Didenko, Maria Pashkova, Dana Kosmina, and – for his kind invitation – to Vasyl Cherepanyn. 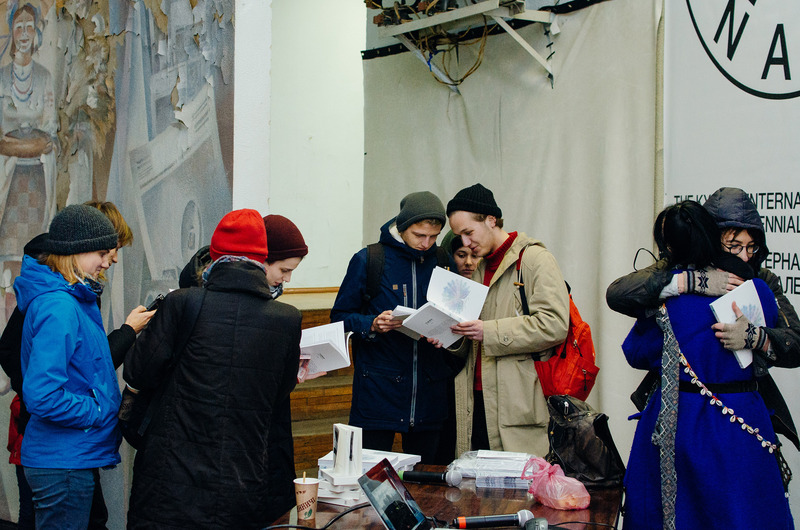 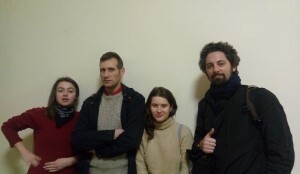 Nataliia Neshevets, David Chichkan, Anna Tsyba and Noah Fischer at the exhibition just closed by the curators due to censorship from the side of the Pavlo Tychyna Literary-Memorial Museum which became complicit with the right wing groups.